My Take on it – Martin Scorsese is a great director, but unfortunately this movie feels too long and drawn out. It has many similarities to Scorsese’s previous mafia movie Goodfellas (1990) (including DeNiro and Pesci) and all in all, Goodfellas was more entertaining. Halfway thru the movie I didn’t care which characters would live or die, I just wanted the agony to end. One of things I appreciated in this movie was how Scorsese decided to use comic actors in serious parts (Alan King, Kevin Pollack and one of the greatest comic actors of all, Don Rickles). Every time he was on screen, I was waiting for him to insult DeNiro or Pesci and get his head kicked in, but nope, he stayed in character the whole time. Sometimes, comic actors are best when they do straight drama. A good example of that is Robin Williams. 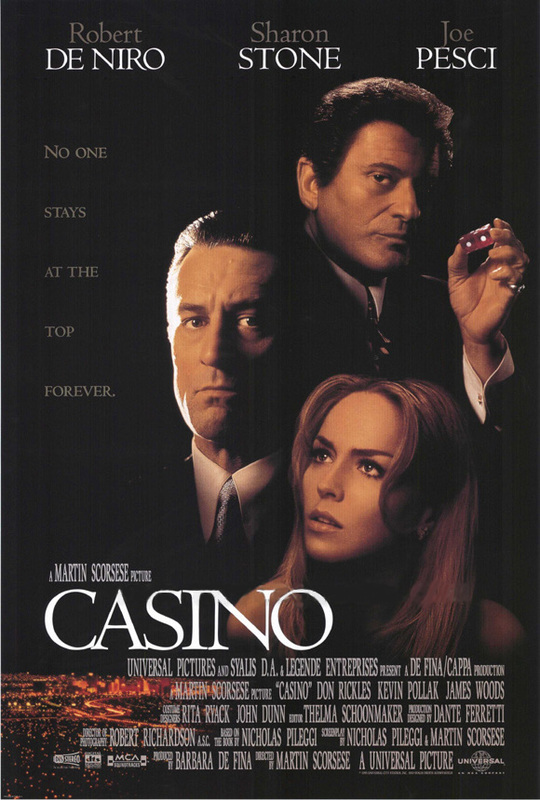 Sharon Stone was the only Oscar nomination for this film. Her character was complex but not likable and I constantly wanted to ask myself why everyone wanted her. Bottom Line – There are plenty of better Mafia movies out there. Go see them before you waste 3 hours on this one.